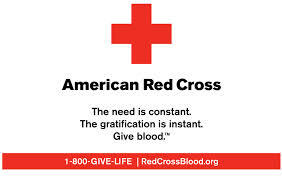 Atwater Commons is partnering with the American Red Cross to host a Blood Drive in the Wilson Hall of McCullough Social Space on Thursday 01/22 from 11:00am to 4:00pm. As a special gift, presenting donors will receive a $5 Dunkin’ Donuts gift card! Walk-ins are welcome, however if you would like to make an appointment to expedite the donation process, please visit www.redcrossblood.org or call 1-800-733-2767. Please direct any questions to atwater_announcements@middlebury.edu. This entry was posted in Midd Blogosphere and tagged For Faculty, For Staff, Wellness on January 16, 2015 by David Dolifka. Atwater Commons is partnering with the Red Cross to host a Blood Drive in McCullough Wilson Hall (Social Space) on Thursday, October 16th, from 11:00 a.m.-4:00 p.m. When: Thursday, October 16th, from 11:00 a.m.- 4:00 p.m.
Where: McCullough Wilson Hall (Social Space). Walk-ins accepted. Please bring photo ID or donor card. Anyone with questions or looking to volunteer may contact David Dolifka (ddolifka@middlebury.edu ) of Atwater Commons. This entry was posted in Midd Blogosphere and tagged For Faculty, For Staff, Wellness on October 10, 2014 by David Dolifka. Atwater Commons is partnering with the Red Cross to host a Blood Drive in McCullough Social Space on Wednesday, April 23rd, from 11:00 a.m.-4:00 p.m. When: Wednesday, April 23rd, from 11:00 a.m.-4:00 p.m.
For more information or to register ahead of time go to www.redcrossblood.org or contact David Dolifka (ddolifka@middlebury.edu ) of Atwater Commons. This entry was posted in Midd Blogosphere and tagged For Faculty, For Staff on April 14, 2014 by David Dolifka. Atwater Commons is partnering with the Red Cross to host a Blood Drive in McCullough Social Space on Monday, Feb 17th, from 11:00 a.m.-4:00 p.m. When: Monday, Feb 17th, 11:00 a.m.-4:00 p.m. This entry was posted in Midd Blogosphere and tagged For Faculty, For Staff on February 13, 2014 by David Dolifka. Atwater Commons is partnering with the Red Cross to host a Blood Drive in McCullough Social Space on Thursday, October 17th, from 11:00 a.m.-4:00 p.m. When: Thursday Oct. 17th 11:00 a.m.-4:00 p.m.
For more information or to register ahead of time go to www.redcrossblood.org or contact David Dolifka (ddolifka@middlebury.edu) of Atwater Commons. This entry was posted in Midd Blogosphere and tagged Uncategorized on October 11, 2013 by David Dolifka.